Manchester and Suburbs sell well. The Warwick and Warwick January 18 auction contained a further large section of Manchester and suburbs cards. Mostly offered in collections, the majority sold at figures in excess of estimate. The highest results, compared with pre-sale estimates, were recorded for Altrincham, where 300 cards sold for £2006, Hale, where 240 realised £1770, Chorley (145 made £543), Blackley (300 made £1416), Hulme (39 made £460), Openshaw (69 made £505), Rusholme (180 made £619). Elsewhere in the topo section, a collection of Scotland, estimated at £220, sold for £944. 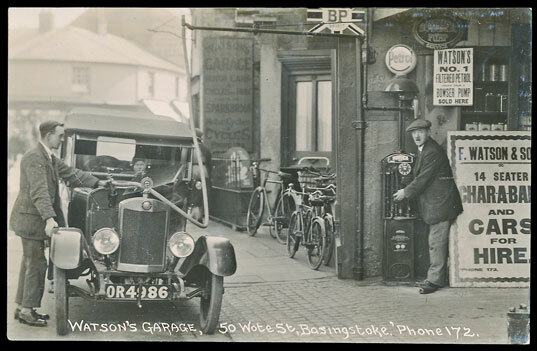 In the singles, a fine real photographic card of a 1920s car at a Basingstoke filling station attracted many bids and eventually realised £118. 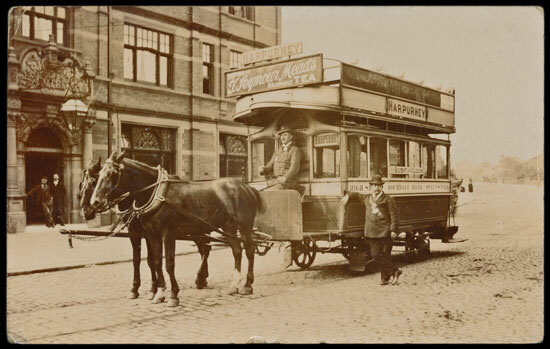 This fine horse-drawn omnibus at Harpurhey, in the Manchester suburbs, realised £47. 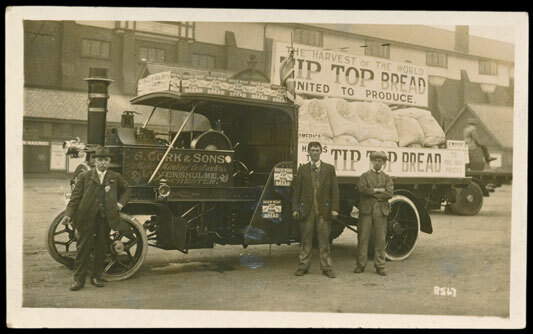 £52 was paid for this Levenshulme, Manchester, steam lorry, with a load of flour. Amongst the foreign countries,Japan and the Far East sold well. Suibjects included artist-drawn children, glamour and animals. Results were mixed with Louis Wain remaining a little depressed, but with Tom Browne in big demand. A collection of 183 different designs realised £283. Glamour collections estimated at £440 and £380 realised £1121 and £619 respectively, though individual artists offered separately fared less well. A Christmas collection, in 3 albums, with a good range of Santas, estimated at £300, realised £855. Shipping was popular again. The most interesting lot was a collection of Kenneth Shoesmith Royal Mail Line cards and ephemera, which was well written up, in 2 albums, and which had recently been exhibited at Belfast City Hall. It was estimated at £400 and realised £973. Perhaps the biggest surprise of the day was the £1032 paid for 5 shoeboxes of printed cards of trams in towns and cities of the British Isles, which had been estimated at £250.